Nineteen products and communities will receive awards at the TecHome Builder Summit as best in their categories as chosen by industry peers. Each Brilliance Award winner will receive a handsome trophy. 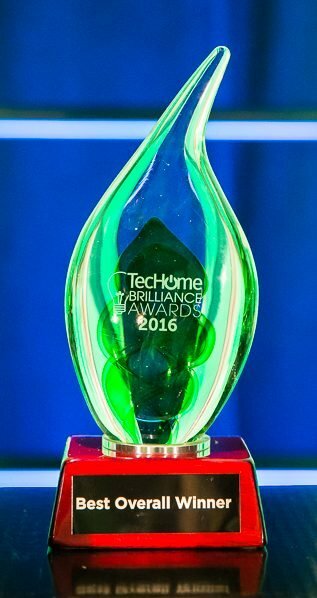 The winners of the annual TecHome Brilliance Awards will be announced on Monday, Dec. 4, the opening night of the 2017 TecHome Builder Summit at the Phoenix Convention Center in Phoenix, Ariz. The awards recognize those that are best accelerating the application of residential technologies. Thirty-one products and two communities entered in a total of 19 categories. One also will be announced as the Best Overall Product from across all categories. Winners were chosen by a panel of industry experts who are well-versed in technology. Winners will receive a handsome trophy that can be displayed as a recognition of their accolade, higher levels of promotion and publicity and promotional tools and assets for marketing their achievements. 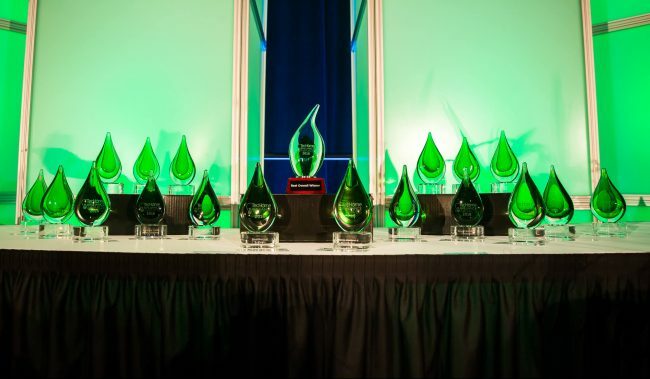 The TecHome Brilliance Award winners will be announced in front of 235 of the nation’s largest and most progressive high-volume, multifamily and luxury building executives and architects. 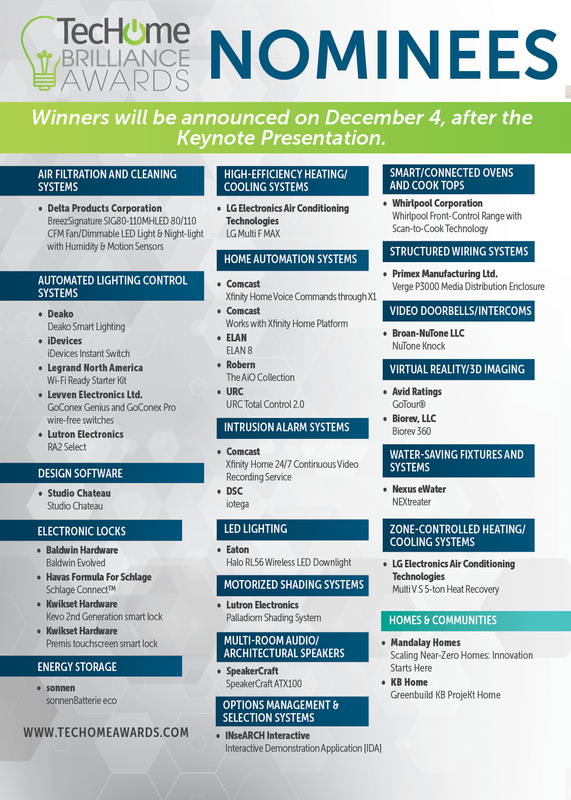 The presentations will take place following the Keynote Address on Monday, Dec. 4.